Every season has it's unique challenges and ailments. Summer even in all it's glory is no exception. Be ready with these summer herbal remedies. Prevention is always best. Wear a wide brimmed hat, sunscreen, etc. But even the most prepared among us get a sunburn now and then. Lavender essential oil diluted in an oil base is an amazing thing for sunburn (or any burn for that matter). Keeping it in a handy roll-on bottle makes it easy to carry on trips and more (and I buy it pre-made from Rocky Mountain Oils so I don't have to do the math for dilution). It almost seems too simple and honestly I was a skeptic for a long time. But earlier this year when I burned my hand badly I gave it a try and found such amazing, sweet relief. Diluted lavender essential oil is generally considered safe for both adults and children. However, the dilution is much greater for children. 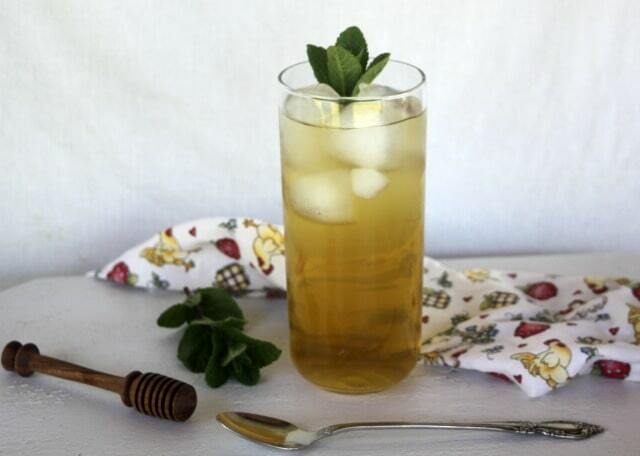 Honey has long been considered a healing remedy for burns. Slather it on and let it sit for a while before rinsing it off. Consider making some lavender infused honey to increase both the herb an the honey's natural healing tendencies. Aloe Vera is, of course, the old standby and should never ever be overlooked in its capacity to soothe sunburn. Again, prevention goes a long way. Thankfully we can keep the bugs away naturally. 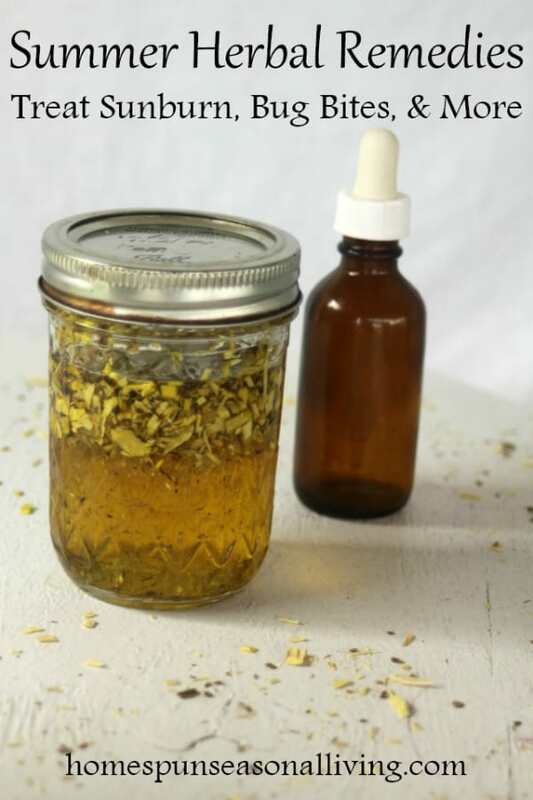 Make a spray with a combination of essential oils. Or use a mix of fresh lemon balm and essential oils with witch hazel. 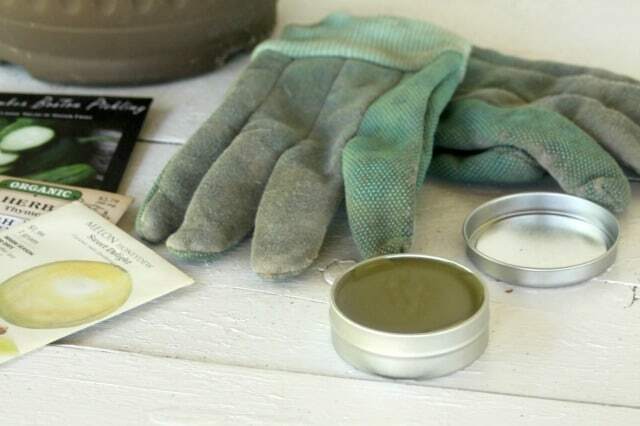 If prevention fails, make an all natural and herbal healing salve to spread on the bites to help with itch and inflammation. The summer heat can bring on a number of specific ailments all by itself. Dehydration, rashes, and more can ruin summer fun but there are natural treatment options. Treat heat rashes with a cooling herbal bath. Stay hydrated and refreshed with herbs and skip the sugar and other dubious ingredients of many commercial options. Cool the body and keep it feeling dry and refreshed with a homemade floral body powder. Good Morning, Kathie. Thank you for this information and the links. I hope my family has no need of the sunburn and bug bite remedies, but I’ll keep this information JUST in case. Have a healthy day.